The famous sugar skull is one of the most iconic and sacred symbols of Mexican Culture, representing the Day of the Dead celebration – a tradition which dates back all the way to the 18th century! These richly decorated skulls are placed on an altar on the Day of the Dead to honour the deceased. Although it’s the Day of the Dead, this is also a time of celebration, a festive day full of lively parades, live music, and colourful, exciting activities all throughout the city that create an unforgettable experience. Luckily for you, you don’t have to travel all the way to Mexico to join in on the fun, as Booming Games is bringing the spectacle to your screen with their slot, Sugar Skulls, a Mexican-themed slot with an interesting steampunk touch. Sugar Skulls is a colourful, richly decorated slot with 5 reels and 3 rows, played over 20 paylines. This slot comes with the intriguing Major free spins, which feature only high paying symbols in stacks and wilds! Not only that, but you can also be rewarded up to 100x your bet completely randomly! It is a low volatility game with plenty of celebrations that capture the spirit of the Day of the Dead perfectly. As you might expect, you’ll see various sugar skulls with impressively-detailed decorations: a pink skull with roses, a purple sugar skull with a moustache, a blue one with steampunk goggles, and a green skull. There are also 4 playing card symbols made up of metal bolts and cogs and rich patterns. The wild symbol is a decorated title symbol, and this substitutes for all symbols on the reels, except for the Free Spins scatter symbol. Look out for the piñata symbol too, as this is packed with rewards, ready to burst at any moment! The Random Fiesta award is incredible in all ways: you can get a prize multiplier with values ranging from 10x to an amazing 100x your bet value, and it’s randomly triggered when a piñata appears on the reels! It can be triggered during the base game but not during free spins. Sugar Skulls comes with extra special free spins, called Major free spins. These free spins feature only stacked major symbols (high paying symbols) and wilds, which is pretty incredible for spins you didn’t wager anything for! You need 3 scatter symbols to trigger 10 Major free spins. Major symbols will appear stacks of 2 or 3 in size and can be completely or partially in view on the reels. In terms of payouts, the wild symbol is the symbol you want to see most of, as it comes with a maximum prize of 50x your bet. The sugar skulls are all high paying symbols, with the purple one being the most valuable, worth a maximum of 20x your bet and the red one worth a maximum prize of 12x your bet. The blue and green skulls are worth a maximum of 10x and 7.5x your bet respectively. The lower value symbols come with top prizes ranging from 2x to 4x your bet. The maximum prize for any symbol is for 5 matching symbols on a payline. A not-so-dead mariachi band serenades you with their guitars as you spin the reels. The design is all about the Mexican Day of the Dead with a touch of steampunk, making the slot even more original than it already is. Nuts, bolts, and cogs are incorporated in the design of the reel frame, game panel, and the symbols too. Behind the reels, you can see a typical Mexican Day of the Dead altar, decorated with candles, skulls, and marigold flowers, the main flowers used to decorate the altar. Booming Games really pulled out at all stops with the artwork of the game, creating truly impressive artwork and visuals. You’ll definitely appreciate the level of detail put into the design of the game; first of all, you can tell Booming Games have done their research for this game, as it’s full of authentic details, representing the Mexican tradition in all bright colours and significance. From the steampunk-style game panel, you can easily access the paytable and information of the game, the autoplay option, the quickspin option, and the Max Bet option as well. 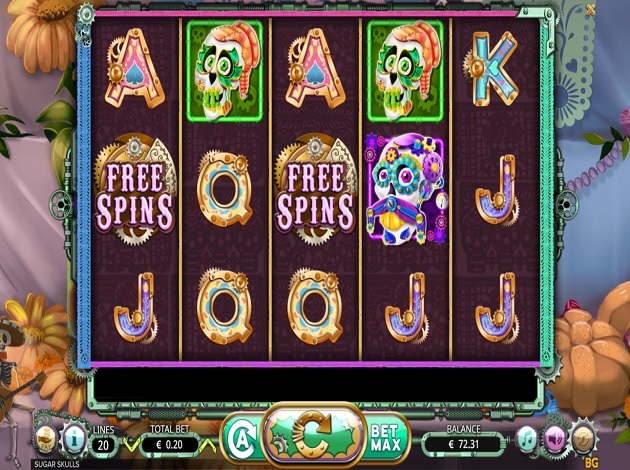 Sugar Skulls is one of the best-looking Mexican themed slots with visually-impressive artwork and great music. The features are what’s really intriguing in this game, though. The Major free spins are enough to make the game worth a spin, along with the added perk of a randomly awarded cash prize! There’s nothing not to like in this colourful slot, so give it a spin now and you might just strike that piñata! Booming Games is a game developer and software company founded in 2014. Since their development, they’ve focused on providing B2B service within the gaming industry as well as boasting an impressive portfolio of over 50 high end games. Just 4 years later, they won the Best Casino Supplier of the Year award at the MiGEA in 2018, a very prestigious reward to win. Booming Games have set their goal on delivering next level games for various well-established operators in the industry, with the ambition to become a leading name in the gaming industry. For such a bustling industry, it’s a big ambition but this company is clearly on the right track, shifting their focus onto the rising Asian gambling market, with Chinese online casino being of particular interest to them. 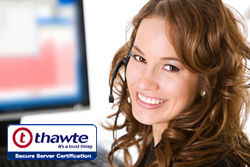 Part of their success comes thanks to their solid team of seasoned experts who use their experience to produce games of the highest standard, using tried and tested formulas for success as well as keeping up with the latest developments in the industry. A few notable releases from Booming Games are Lava Loca, Wild Diamond 7x and Exotic Fruit Deluxe.